Some of the AXIOM project task priorities (usually in order of importance). If you're unfamiliar with our current project the AXIOM Beta is the world's first open source, free software, open hardware digital cinema camera - AXIOM Project Background. Please accept this information as a call for assistance. If you have the required skills, and would be willing to contribute some of your time towards development, then these links should help introduce you to exactly what's required. It would be beneficial for all concerned if you were to make contact through the preferred channels so that you can be brought up to speed on what's current - See Join the Team for contact channels and languages, and Useful Links for links to repos, sample files etc. Photo credit: Maxime Fuhrer, AXIOM Belgique. We published this article on 17.07.17... which details some of the remaining tasks prior to the shipping of AXIOM Beta CP. Including the items described in this article there are ten tasks that need to complete, some of which are more complex than others. Works on an SDI plug-in module have now commenced and a finished component is expected in the first half of November. We're confident over this time frame but with this in mind it's safe to say that the camera won't be shipping in time for December. Because we're a small team, and because some of us have commitments running alongside the project, it can be difficult to make accurate predictions with respect to exactly when specific tasks will complete but, when discussing this 'last leg' towards shipping, a consensus has been that we'd like to try for March/April 2018, and provided there are no significant setbacks this is potentially realistic, however, as detailed in this article there are some necessary provisions that fall outside of our control - namely, the FCC and CE certification... so some emphasis certainly needs to be put on the word "try". In truth, and at this stage, we've no idea how long the certification process might take. This is the kind of information that the community will be updated with over the next six months though. It should be noted that the greater the number of people contributing their time and skills to the project the quicker the camera will ship of course. Generally all concerned are wary of being specific with respect to dates at this stage as it would be foolhardy to make promises that we're not certain can be kept. 1) Full Enclosure (Design -> 3D print prototypes -> Review -> Redesign -> Metal Production) - 3d print prototypes soon -> participate. 2) Battery solution - can be preliminary, eg. atomos power station or just USB power bank / backup battery with dual USB power cable we already have. 4) Evaluate and pre-install WiFi Sticks to ship with Betas. 5) WebGUI for camera remote control (dependencies: REST, camera control daemon, automated firmware builds so webserver can be pre-installed). 6) Packaging - We're leaning towards the option of a custom made Peli case for this. 7) CE / FCC certification (time unknown). 8) Software Rewrite (not essential for Beta II) - This isn't essential as, if it's not completed prior to the time-frames specified it can be released shortly thereafter. 9) SDI Plugin Module (not essential for Beta II) - It will ship with the camera however. OpenCine is a free RAW processing suite. We'd very much like to rebuild our website. Much of the design mock work has been done, and initial steps have been undertaken, but as all of our web-developers are occupied with other projects the task tends to be put onto the back-burner. 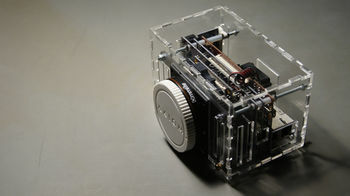 A friend of ours is looking for someone with CAD prowess to put together a 3D printable design for the Opsis board case. 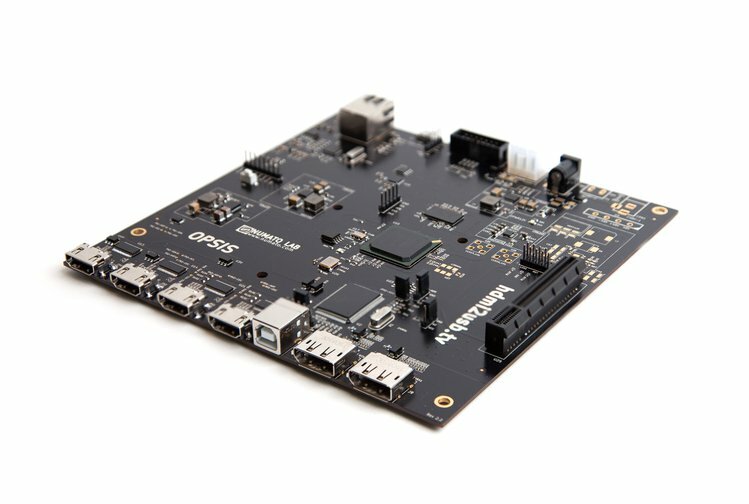 The Numato Opsis board is a Mini-ITX standard, FPGA-based open source, open hardware video platform for videographers and visual artists that's typically geared towards conference capturing solutions and FPGA-based video research. It’s an interesting project and if you’re skilled in CAD it would be worthwhile assisting. So far, 3D printable "face plates" have been done but they’re not final. Any help would be greatly appreciated. Please email team@apertus.org and we'll put you in touch with the TimVideos team.